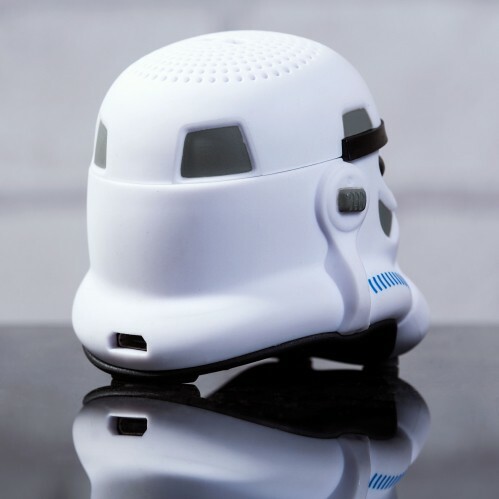 This amazing Original Stormtrooper-shaped Bluetooth speaker is pocket sized and ultra-portable. 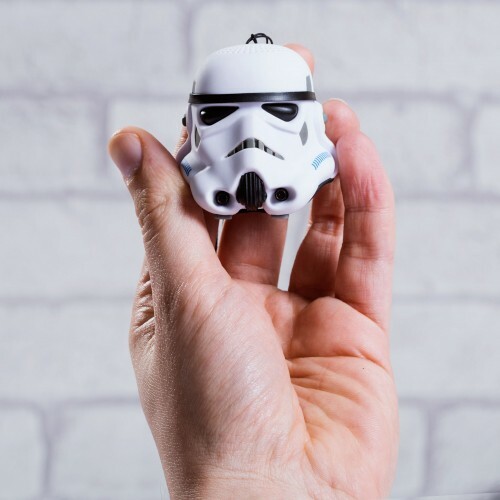 What this little guy lacks in size he makes up for with powerful 2W sound. 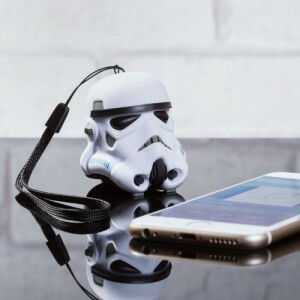 Just connect him to your Bluetooth-enabled device and play your favourite tracks. 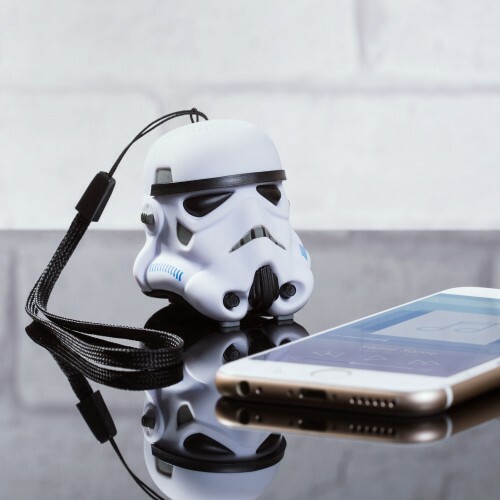 He'll keep going for up to 4 hours before needing a little re-charge using the Micro USB cable included. 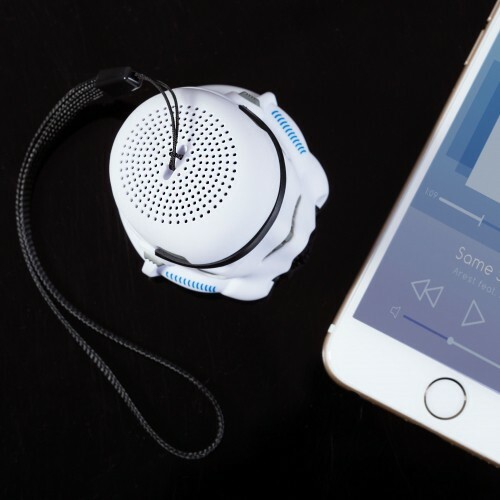 The built-in microphone allows you to make and receive calls, while the power button doubles up as a shutter remote so you can take selfies from a distance too. In 1976 prop maker Andrew Ainsworth of Shepperton Design Studios created the original Stormtrooper helmets and armour for the first movie. This product is based on the original moulds Andrew produced, as close as it is possible to get to the original film props. Accept no compromises!